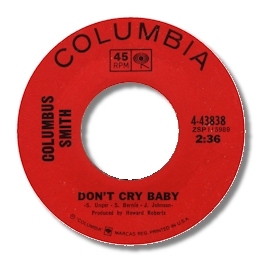 While most of New York singer Columbus Smith’s tracks are too smooth and MOR for me I do like Don’t Cry Baby on which his easy baritone comes across really well. Here he shows a great range and control with plenty of power in reserve, and a nice feel for gospel techniques. The big band is good as well – special thank you to the subtle organist. Smith’s other track that has admirers is his version of Muddy’s “Got My Mojo Working” but I can only hear the Great Man on that side. 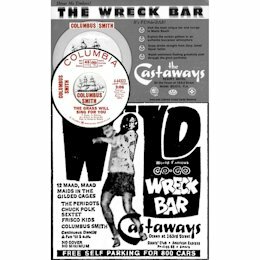 UPDATE ~ John Soul Smith writes to say that Columbus Smith "did a lots of shows in the 'tourist hotels' in Miami back in the day." Im' grateful to John for the lovely poster which makes his point.